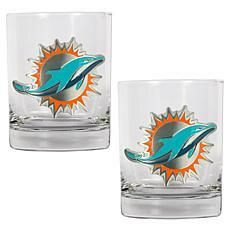 Super Bowl 50 Champions Set of 2 Frosted Pint Glasses How about a little football with your favorite beverage? 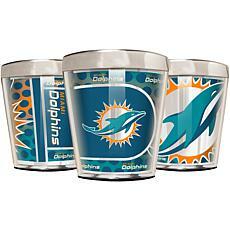 Every day is a Super Bowl day with your favorite frosted glass. The best part? You receive two! Go Broncos! 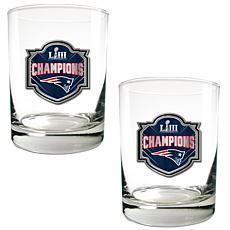 Super Bowl LIII Champs Officially Licensed 2pc Rock Glass Set- New England Patriots Raise a glass and toast your winning team. 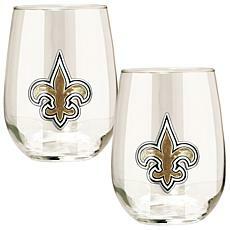 Complete with a stylish metal logo, they are the epitome of team spirit. 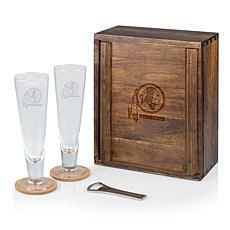 Proudly display the set in your game room or home bar. 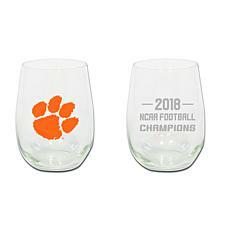 Officially Licensed NCAA Clemson 2018 Champs Stemless Wine Glass - 2-pack When you're in tiger country toast the Clemson Tigers winning the 2018 national collegiate football championship with these sleek stemless wine glasses by The Memory Company. Hail to the champions. 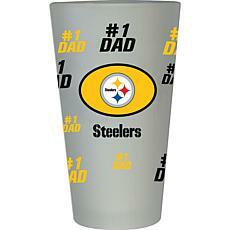 How about a little football fandom for Dad? Every day will be "Super" with his favorite frosted glass. Hail to your Dad and, of course, his favorite team. 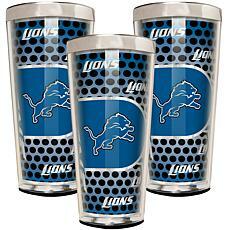 Officially Licensed NFL 16 oz. 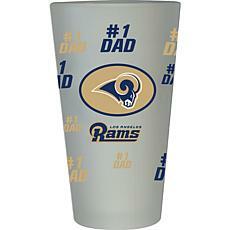 Father's Day Pint Glass Give dad the perfect gift for game day with this cool looking frosted glass that shows how much he loves his team. 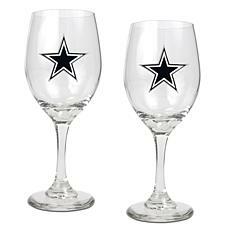 Adorned with team colors and logo, he'll enjoy his favorite beverage in this sturdy glass while he roots his team to victory.